You will search in vain for an entry on Vladimir Deshevov (1889-1955) in the standard musical dictionaries. 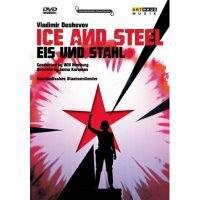 Ice and Steel of 1929 was his best known composition. It did not enjoy a long run in the People’s theatres and its revival in our time represents the triumph of curiosity over good sense. 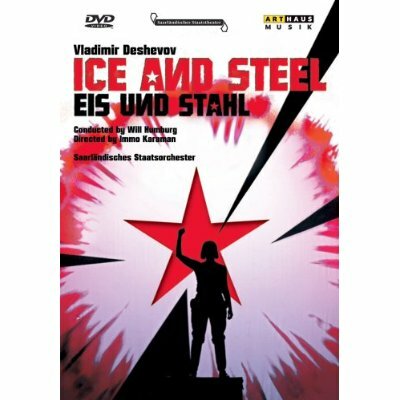 It requires a huge cast and, all things considered, Ice and Steel is a pretty miserable excuse for an opera. Nevertheless, in cooperation with the Stanislavski and Nemirovitch-Danshenko Musictheater, Moscow, it was staged in Saarbrücken in 2007. Deshevov’s score is far from negligible and sternly modern (a last hurrah for the avant-garde before the imposition of ‘socialist realism’) but the libretto by Boris Lavrenjov is an awful concoction of one-dimensional class struggle stereotypes and agit-prop rhetoric. The plot cynically conceals the truth about the brutal Bolshevik suppression of the Kronstadt Mutiny in 1921. What makes this production useful (and probably essential for Soviet music fans) is the prodigious imagination of the staging. It is dreadful but fascinating; offensive yet authentic. Proceed with caution.